The Teneriffe is a strata-titled cluster housing development located at Laurel Wood Avenue just off Sixth Avenue. This development has a total of 148 cluster houses consisting of 4+1 bedroom and 5+1 bedroom units. Strata-houses are landed homes with large interior spaces and recreational facilities. There are 2 private parking lots in each unit and facilities at The Teneriffe includes swimming pool, gymnasium, BBQ, pool table, pool side lounge, children's playground. The Teneriffe is strategically located between Bukit Timah and Holland Road and a stone's throw from the popular Holland Village. It is also near to the Turf City and Guthrie House where amenities like supermarkets, restaurants, eating places, post office and many other variety of shops can be found. International schools like the Dutch, German, and Swiss Schools are located nearby. The Teneriffe is accessible via the nearby Pan Island Expressway (PIE) which leads to Changi Airport and all other parts of Singapore. Commuting to Orchard Road takes a mere 5 minutes. Fantastic Expatriate Community. Like the New Green Park. 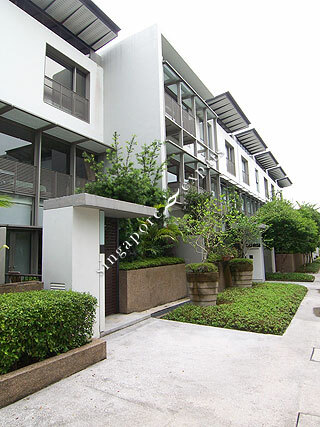 Its in a private enclave exclusive living. Gorgeous development right in the heart of Singapore's prestigious Sixth Avenue. Huge expat community and literally minutes to everything! Layout is superb, and facilities are not bad for a cluster housing. Units are spacious, but it is a bit inconvenient for people who take public transport. Nice Cluster development, spacious living and bedroom. Very child friendly. Very pleasant, green and lively condo. You will need a car though, although MRT is expected in a year time or so. Excellent pool. Best Cluster in Holland, near good amenities Holland Village. Best unit in Teneriffe, best facing! Must See! Cluster housing suitable for landed home lovers with condo facilities. Expats living.